In keeping with our "Trailblazers in Women's Surfing" exhibit, today we honor Rella Kapolioka'ehukai Sunn, a beloved icon in Hawai‘i’s surfing history. was a successful competitive surfer during the 1970s and 1980s. She competed on the first world tour in 1976 and was often ranked in the top ten in the world and won many local contests as well. Her surfing style combined old school Hawaiian grace with contemporary short board style. She was also Hawai‘i’s first female ocean lifeguard. In 1976, she founded the Rell Sunn Menehune surf contest at Makaha, which continues to be a popular annual contest in Makaha. During that time, she mentored many of Hawai‘i’s children, some of whom have gone on be top surfing competitors, including Johnny Gomes and Sunny Garcia. Rell is best known, however, for the strength and resiliency she exhibited while undergoing a 15-year battle against breast cancer. Following her diagnosis, Sunn became a radio disc jockey and surf reporter, a physical therapist at a Waianae care home, and a counselor at a cancer research center. She helped pilot a program for breast cancer awareness at the Wai'anae Cancer Research Center that involved educating local women about the causes and prevention of breast cancer. She passed away in 1998 and thousands of people attended her memorial service. 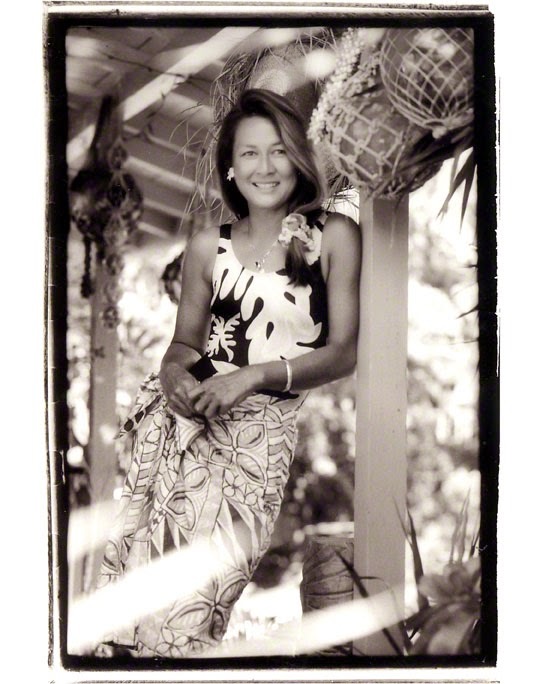 To this day, she remains one of the most highly respected and much loved surfers in the world and her daughter, Jan, faithfully hosts the Menehune contest every year at Makaha. To learn more about this remarkable and inspirational figure, please check out the award-winning documentary about Rell's life, Heart of the Sea.